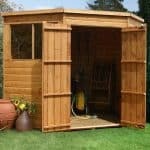 This is a good looking garden shed with a large door for ease of transporting garden equipment inside and out. 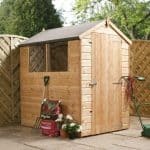 The windows give you light and air when working inside and it is constructed from hard wearing wood with overlap cladding for extra strength and durability – built to last. 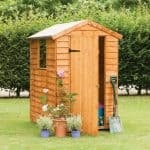 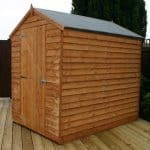 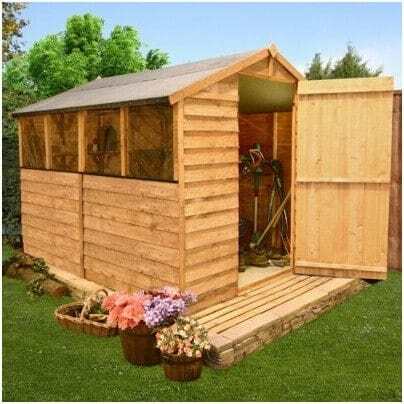 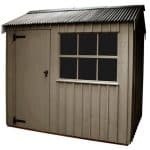 This shed is a popular size and fits in most gardens – it is an excellent secondary storage building too.